Anyone seeing the photographs below would be forgiven for thinking that the state of Diesel Rail Bus E79962 is the result of years of neglect resulting in a rail vehicle only for scrap. But photographs can be deceptive for the appearance of ’62 reflects the first work having been completed in the long road back to pristine condition. 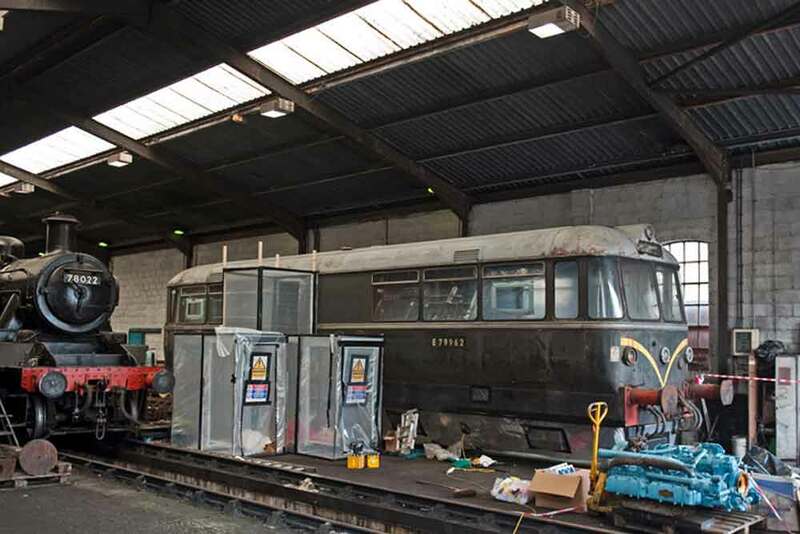 As previously reported , this DRB has been sold to the Vintage Carriages Trust at Ingrow West who, on receipt, will completely renovate it back to its original condition. 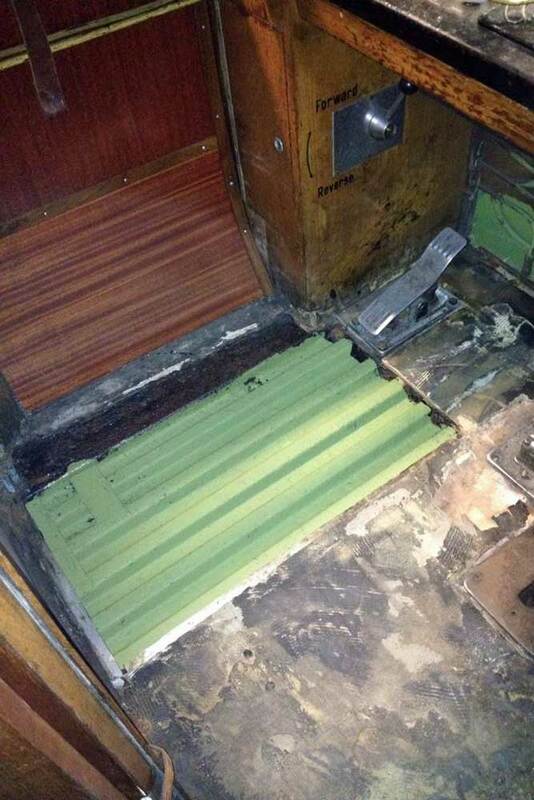 However before taking delivery there was the small matter of residual asbestos contamination. Visitor’s to Haworth locomotive works will have seen the machine cocooned in plastic sheeting awaiting a specialist team to safely remove what is left of the original asbestos insulation. Last week the task was completed and ’62 saw the light of day once more, albeit covered in dust and grime and looking somewhat forlorn. 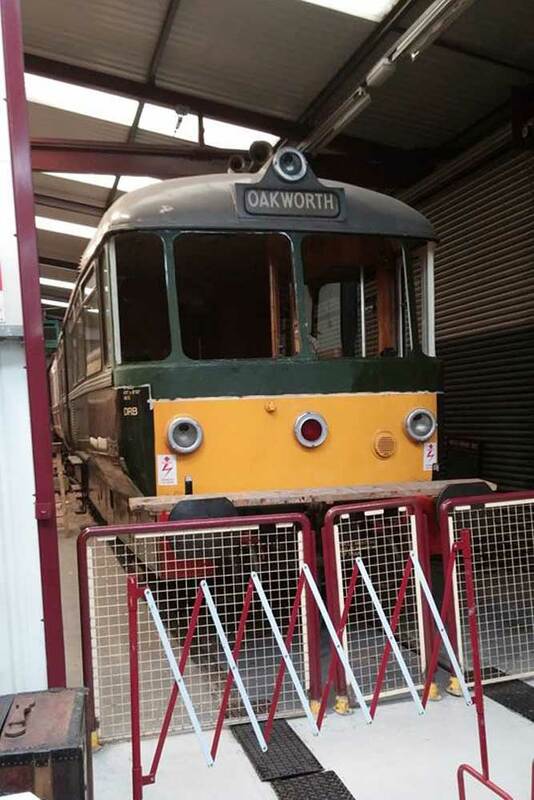 It will remain at Haworth until the contract for body repairs on sister DRB M79964 have been completed, at which time it will be towed to Ingrow for work to begin. 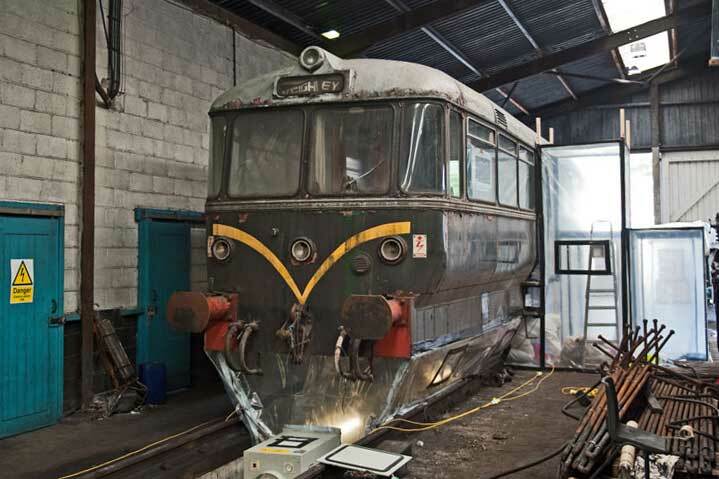 Meanwhile, at VCT’s Ingrow workshop, work on DRB M79964 continues. The metalwork around the south end windows has been completed and the new metal work has had its first coat of gloss. In addition some of the wood work inside has received a new coat of Varnish. At the Keighley (north) end the floor metalwork had rotted and as the illustration shows new metal has been welded into place.